THE 2017 Equerry Bolesworth International Horse Show looks set to stamp its mark on the world of dressage as well as show jumping from June 14 to 18. 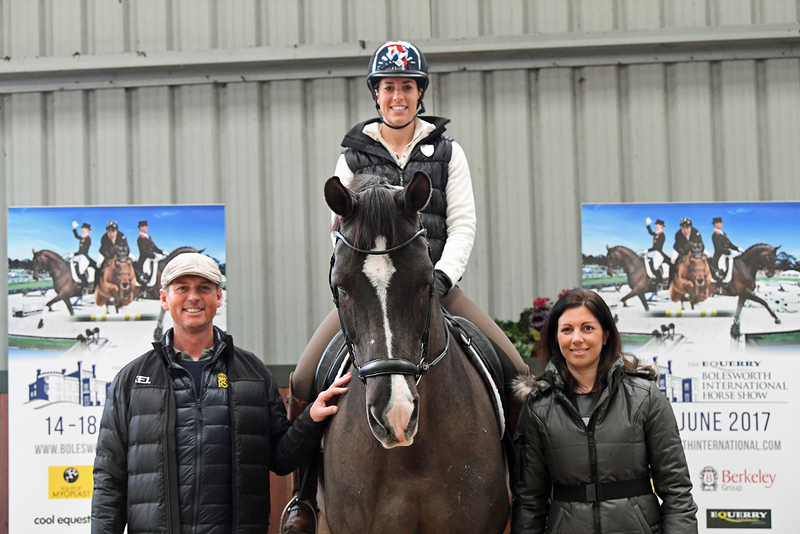 Show president Nina Barbour revealed the exciting plans to media and dressage royalty at the official launch of the new Bolesworth CDI*** at Carl Hester’s yard in Gloucestershire. The dressage legend, famed for his skills as both a rider and trainer is supporting the launch of this exciting new development for the event, which has quickly risen to become a power house in British show jumping circles and aims to do the same in the world of dressage. Having won the Invitational Grand Prix Freestyle last year during his first visit to Bolesworth, Carl said: “Bolesworth is a true international show. I really love it. “The venue is stunning, the footing is stunning, and I’m delighted the team is developing the dressage in such an amazing setting. Said Show President Nina Barbour: “We have big ambitions for Dressage at Bolesworth going forwards, and we’re thrilled to have Carl help launch our new CDI*** competition. The dressage expansion plans mean that the event is now a fully-fledged CDI*** show with international riders able to compete in what has quickly become one of the most sought after arena’s to ride in. Carl is confirmed to compete in the CDI***, and is set to wow spectators on the first afternoon of the show with a demonstration of his wealth of knowledge as both an internationally-acclaimed rider and trainer. Following the demonstration there will also be a ‘Question&Answer’ session with Carl in the International Arena with the stunning backdrop of Bolesworth Castle. 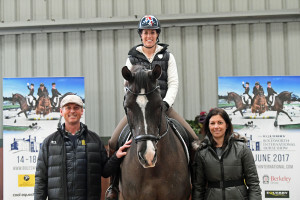 On the new young horse classes British Dressage Training Director Paul Hayler said: “We’re delighted to be able to showcase our young horses this year as part of the increased dressage offering at The Equerry Bolesworth International Horse Show and can’t thank Nina enough for making it happen. The team at Equerry Horse Feeds provide advice on feeding the fussy horse. Feeding a fussy horse can be incredibly frustrating and result in a lot of wasted feed, time and money. The adage ‘you can lead a horse to water but can’t make him drink’ applies to feed too! Try not to simply offer a bit of everything as this will often not help! It is important to decipher if your horse is simply being fussy or if there is a physical or other underlying reason why he is not eating well e.g. a dental problem. There are many things we can do that will make a big difference to our horses’ appetite. Feed size is very important and whilst forage should usually be fed as-lib it is important that hard feeds do not exceed the capacity of the stomach. Feed, once eaten, enters the stomach via the oesophagus, where the feed is mixed with acid and pre digestion commences. The capacity of the stomach is approximately 2kg for a 500kg horse. A horse should therefore not be fed more that 2kg per feed – which is one Stubbs scoop of cubes! If a horse needs more feed to maintain condition the solution is to feed a higher protein and calorie feed or increase the number of feeds. Feeds should be at least four hours apart. Horses are creatures of habit and ensuring a consistent routine is key. Suitable forage should usually be fed ad-lib. By maximising the horse’s forage intake we enable the production of B vitamins in the hind gut which supports appetite. Regular exercise as well as daily turnout will help, settled relaxed horses will have a better appetite. Appetite is affected by the stress associated with a heavy workload, and it is well understood that horses in hard work will have a reduced appetite compared to when they are in light to medium work. Many people believe that horses prefer mixes to cubes but that is not often the case. Because all Equerry cubes are formulated using the best quality ingredients without cheap ingredients like straw, they are more palatable than many other cubes. So if there are nutritional reasons why a cube may suit your horse better, for example if a cereal-grain-free, low sugar and starch diet is indicated, do not rule out feeding a cube as they don’t all taste the same! There are however some horses that prefer a mix and the Equerry mixes are formulated to be very palatable. Equerry Veteran mix is a conditioning mix with high levels of oil to support weight-gain, high levels of yeast to support the digestive system and cooked cereals for improved digestibility. 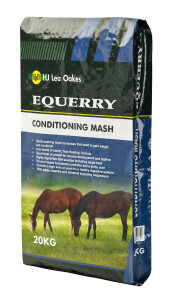 If you have a horse with a dental problem affecting appetite then feeding a product like Equerry Conditioning Mash is likely to be the answer. A very palatable, quick soak product that is low starch and ‘Non-Heating’ means it is very useful in many scenarios. It is high in fibre so ideal when forage intake is also reduced. Because it is soaked it is useful to help rehydrate horses e.g. after a day’s hunting. 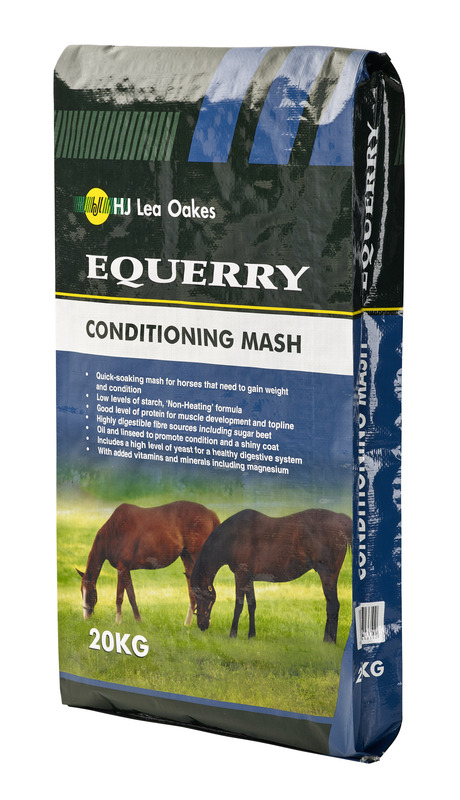 With added yeast to support the digestive system Equerry Conditioning Mash is a must have product for everyone’s feedroom. If you are having problems with your horses’ appetite or simply want to check if your horse is getting a balanced diet ring a reputable feed company and talk to a nutritionist for advice and help. Most companies will send you samples of recommended products to try before you buy!